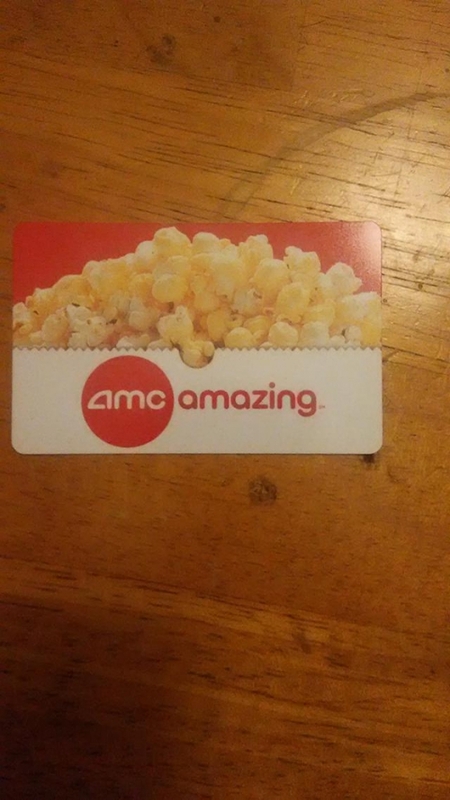 I am selling a 2 - $25 AMC Theatres Giftcard for only $35. Must come pick it up from my office in Anaheim. 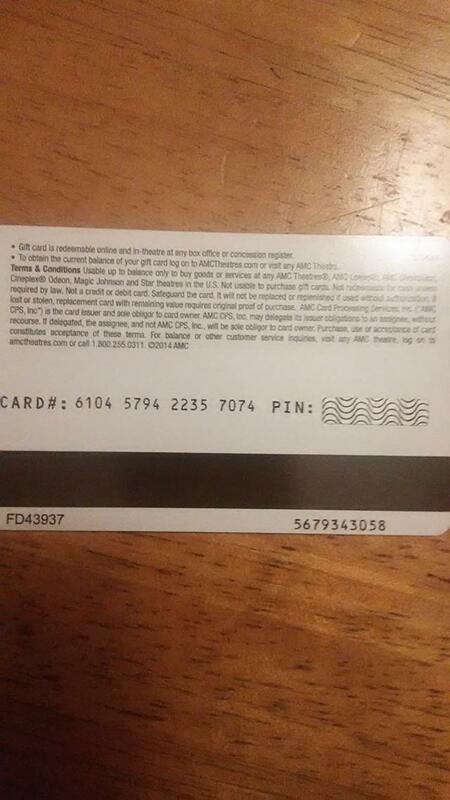 I have attached a photo of the backsides so you can see the card numbers. 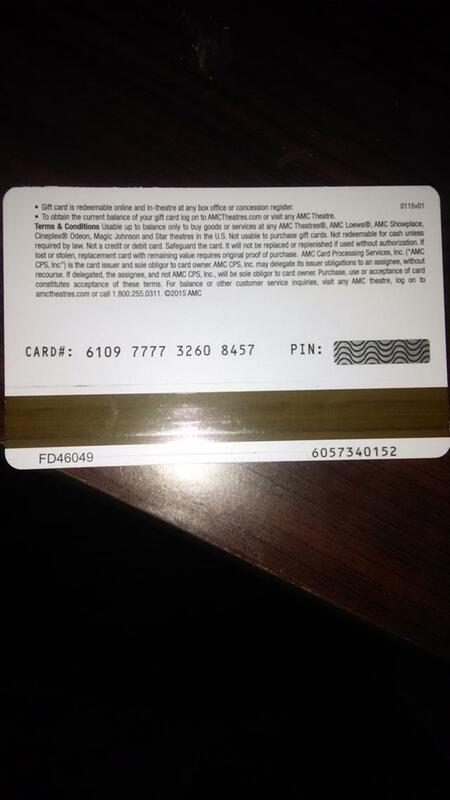 If you are interested, go to the AMC website, click giftcards and enter the card #. It will show you the balance.